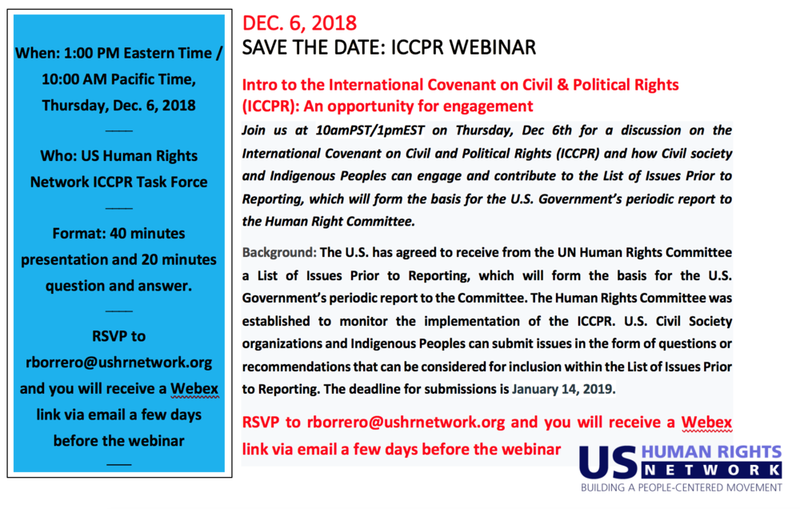 The Expert Mechanism on the Rights of Indigenous Peoples (EMRIP) was established by the Human Rights Council, the UN’s main human rights body, in 2007 under resolution 6/36 as a subsidiary body of the Council. Its mandate was then amended in September 2016 by Human Rights Council resolution 33/25. The Expert Mechanism provides the Human Rights Council with expertise and advice on the rights of indigenous peoples as set out in the United Nations Declaration on the Rights of Indigenous Peoples, and assists Member States, upon request, in achieving the ends of the Declaration through the promotion, protection and fulfilment of the rights of indigenous peoples. The Expert Mechanism is composed of seven independent experts on the rights of indigenous peoples. The experts are appointed by the Human Rights Council which is to give due regard to recognized competence and experience in the rights of indigenous peoples, experts of indigenous origin, and gender balance. Read more about the members of the Expert Mechanism. The Expert Mechanism holds an annual session, usually in July, in which representatives from states, indigenous peoples, indigenous peoples’ organisations, civil society, inter-governmental organisations and academia take part. Support Indigenous Peoples March in Washington D.C.
Indigenous Peoples March will be the first international march of its kind to unite the Indigenous peoples from across the world. 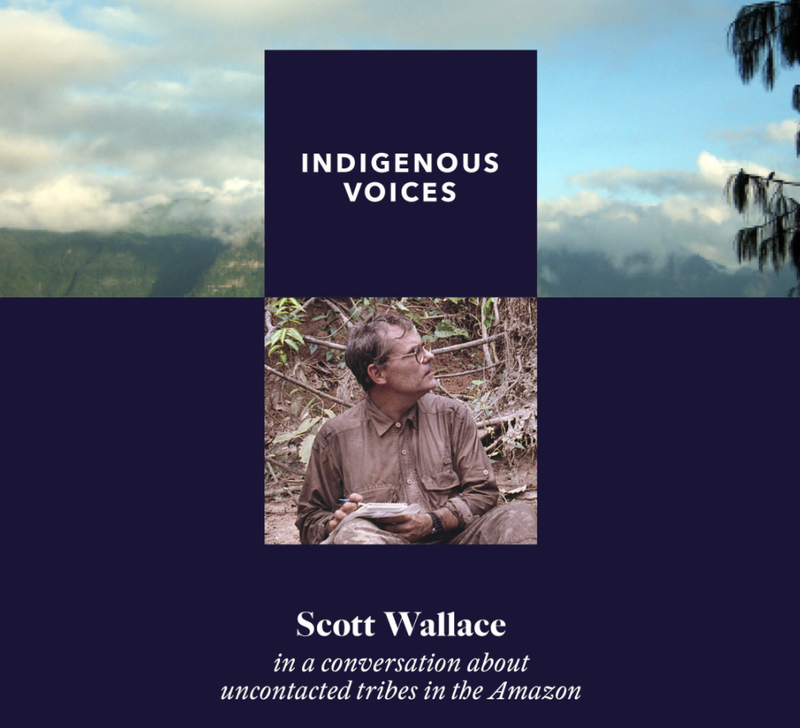 We stand together to bring awareness to the injustices affecting Indigenous men, women and children as Indigenous peoples and lands from North, Central and South America as well as the Caribbean diaspora are a target of genocide. 1. Moment of Silence in Honor of the Land we are on and the Native Peoples of this land. Peoples Climate March for Climate, Jobs, and Justice! Youth for Environment, Education and Development Foundation (YFEED Foundation), Nepal in collaboration with Youth for Human Rights International, Nepal and other several civil and private agencies will be organizing theInternational Youth Forum on Human Rights and Sustainable Development Goals 2018 from 17th –18th August 2018 at Kathmandu,Nepal. The important international youth event this year will be celebrate the cross-cutting main theme of the youth conference “Partnering with the Youth to achieve SDGs: Moving from policy to actions‟. This year’s programme will provide an opportunity for young peoples from around the globe to discuss, understand, share, find new solutions and develop strategies on issues pertaining to Human Rights, peace, inclusive societies and Sustainable Development Goals further how young people are building resilience and innovation in their local communities to attainment of human rights and sustainable development goals. Application and Registration Final Deadline: Tuesday, 17th July 2018 A.D.
To register and apply click here. For more information please read the About Us. Should you need any further information or clarification please do not hesitate to contact us in info@internationalyouthforum.org or me and Mr. Rahul K.C. in rahulyhrn@gmail.com and rahulkc2010@yahoo.com any time . This annual event takes place at UN Headquarters in New York City, NY. Project Access Alumni Janene Yazzie and Project Access Program Coordinator, Roberto Múkaro Borrero are a both taking part in this special event. National Indigenous Peoples Day (French: Journée nationale des peuples autochtones) is a day recognising and celebrating the cultures and contributions of the First Nations, Inuit, and Métis Indigenous peoples in Canada. The day was first celebrated as National Aboriginal Day in 1996, after it was proclaimed that year by then Governor General of Canada Roméo LeBlanc, to be celebrated on 21 June annually. 21 June was chosen as the statutory holiday for many reasons-including its cultural significance as the Summer Solstice, and the fact that it is a day on which many Indigenous peoples and communities traditionally celebrate their heritage. It was renamed in 2017. As requested by the General Assembly resolution 70/1 on 2030 Agenda for Sustainable Development, the President of ECOSOC will convene the STI forum annually to discuss science, technology and innovation cooperation around thematic areas for the implementation of the Sustainable Development Goals. The third annual Multi-stakeholder Forum on Science, Technology and Innovation for the Sustainable Development Goals will be held from 5-6 June 2018 in Conference Room 4 at the United Nations Headquarters in New York. The Permanent Forum on Indigenous Issues will meet with representatives of indigenous peoples and Member States from the different regions on Tuesday 24 and Wednesday 25 April 2018. UN agencies, regional and National Human Rights Institutions and academics are also welcome to attend. These informal and interactive dialogues will be facilitated by members of the Permanent Forum. The Forum members will provide introductory remarks and moderate the discussions. To identify specific thematic areas and/or emerging issues that the Permanent Forum may wish to focus on at future sessions. Focus: Advancing research and assessing impacts of Environmental Violence on Indigenous Women and Girls The 3rd International Indigenous Women’s Symposium on Environment and Reproductive Health will be held in Columbia University on 14-15 April 2018. Focus of the International Symposium will be on advancing research and assessing impacts of Environmental Violence on Indigenous Women and Girls. The broader goals of the symposium are (1) to contribute to awareness about the multi-dimensional aspects and impacts of violence against Indigenous women and girls including environmental violence; (2) build and strengthen networks and alliances for research and advocacy between Indigenous women from various regions and the scientific and academic communities; (3) and to build awareness among diverse constituencies, including the broader movements addressing violence against Indigenous women and girls. The Symposium aims to share and assess the state of research and case studies on reproductive health and environmental violence and identify need for further key studies and research; to systematize, share and strengthen findings in this field; share experiences of using international mechanisms addressing human rights, environment and sustainable development to seek solutions to the problem; identify gaps and points of further action for various actors, including Indigenous organizations, states, the private sector, intergovernmental bodies, academia, scientists and others; advance the global attention on the problem of environmental violence, and contribute to awareness, advocacy and policy change on this issue on the local, national, regional and international levels. Click below for the concept note. Keep checking the ISHR website for updates on the upcoming Symposium. Due to space limitations pre-registration is required. Click below to download the registration form. Fill it out completely and email to indigenous@columbia.edu. Co-sponsored by the Fondo Indígena, MADRE, Alaska Community Action on Toxics and Tribal Link Foundation; and, on Columbia’s side, by the Center for Gender and Sexuality Law, the Native American Law Students Association, and If/When/How: Lawyering for Reproductive Justice, Columbia Law School; the Center for the Study of Social Difference and the Center for the Study of Ethnicity and Race. 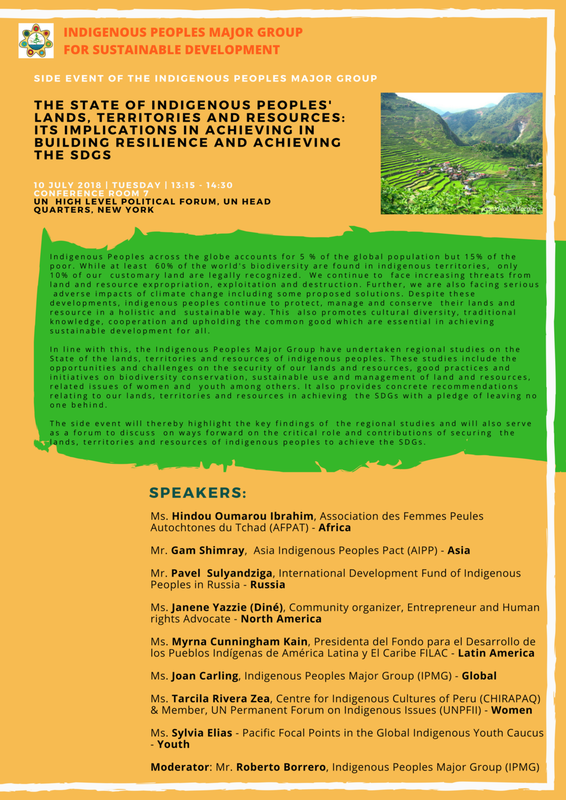 Project Access has two components: a 3-day training prior to the UN Permanent Forum on Indigenous Issues (April 11-13th) and participation in the first week of the UNPFII (April 16-20). Do you wish to gain a comprehensive overview of global water challenges and water governance? Would you like to be introduced to basic water and wastewater treatment technologies and to the complex concept of the water-energy-food nexus? Then the United Nations Institute for Training and Research (UNITAR), Gaia Education and Strathclyde University cordially invite you to join our online programme on “Local Water Solutions for Global Challenges”. On the basis of these needs, the University of Strathclyde, Gaia Education and the Social Development Programme of UNITAR have developed this e-learning course, aiming at building the capacity of local authorities in developing and least developed countries on sustainable water resource management, and at providing a solid understanding of water governance within the framework of the Sustainable Development Goals. The course also introduces key technologies and techniques to build water resilience, and explores the close interactions between water, energy, food and climate change. The course starts on 22nd March, for a period of 5 weeks. In order to get the full benefits of the course we suggest you should dedicate 3 to 8 hours a week to your study. This course is a free MOOC! Successful participants will be given the opportunity to request a UNITAR certificate for 100$, a trustable way to showcase their new skills! We think that our online course could be of great interest to you. We would also be very grateful if you could help us spread the information through your network. We hope to count on your collaboration and participation in our course! Do not hesitate to contact us, should you have any question regarding this online course: sdp@unitar.org. Location in NYC and Meeting Agenda to be announced. RSVP now to rsvp@wearesubrosa.com to save your seat. Indigenous Voices is a quarterly series produced in partnership between Tribal Link Foundation and Sub Rosa. Donations collected at the event will serve to fund Tribal Link’s training programs for indigenous peoples. There is no charge for this discussion, but donations to Tribal Link will be gratefully accepted in cash or through PayPal on Tribal Link's website. Tribal Link Foundation is a non-governmental organization accredited with the U.N. and is a registered 501(c)(3) organization. International Expert Group Meeting on “Sustainable development in territories of indigenous peoples” (article 4 of the UN Declaration on the Rights of Indigenous Peoples).